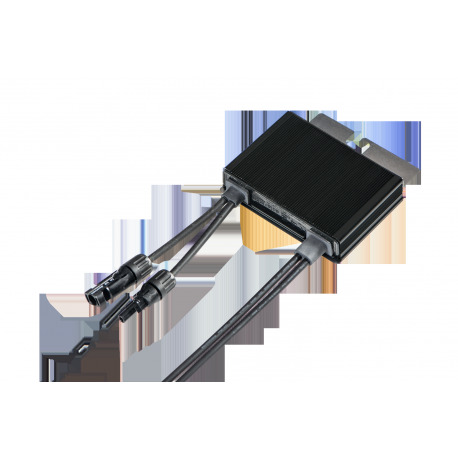 Buy your optimizer SOLAREDGE OP300 - 300 W exclusively online. Communication with the inverter SOLAR EDGE is done via Bluetooth. With this optimizer, you can install your panels in all directions. Your solar panels are then independent from each other. In addition, the optimizer enables you to cut your solar panels' power supply directly at the junction box, i.e. without any fire hazard. You can monitor each panel separately on the SOLAR EDGE website. SolarEdge provides systems for converting solar energy and distributes supervision systems for PV installations. SolarEdge technology maximizes power generation of residential, commercial and large scale photovoltaic installations. The SolarEdge product portfolio includes power optimizers, highly reliable PV inverters and a web portal for monitoring and fault detection at module level.